«A big, heady, animalic, woody, tuberose and leather composition that’s sure to make heads turn. Big bold notes, with incredible smoothness, there’s a subliminal attraction in the brassy exaggeration with such sublime appeal, carnal, yet seemingly innocent. Cool, white tuberose set among dark characters; castoreum, leather, oud, and the indole from the jasmine. 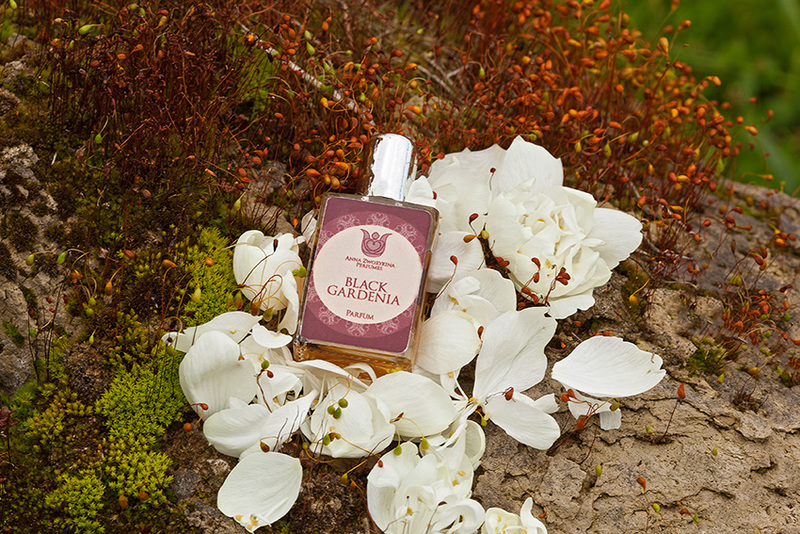 A beautiful spicy note from the pepper and ylang ylang alludes to something exotic. There’s a clear salty accord, something bittersweet that hails as a warning, this one is not what she seems. Suddenly the creamy frangipanni and the sweetness of tuberose reveals itself to be anything less, its hypnotic qualities lend themselves to something more sinister, though still deeply alluring, entrancing even, like the song of the sirens.